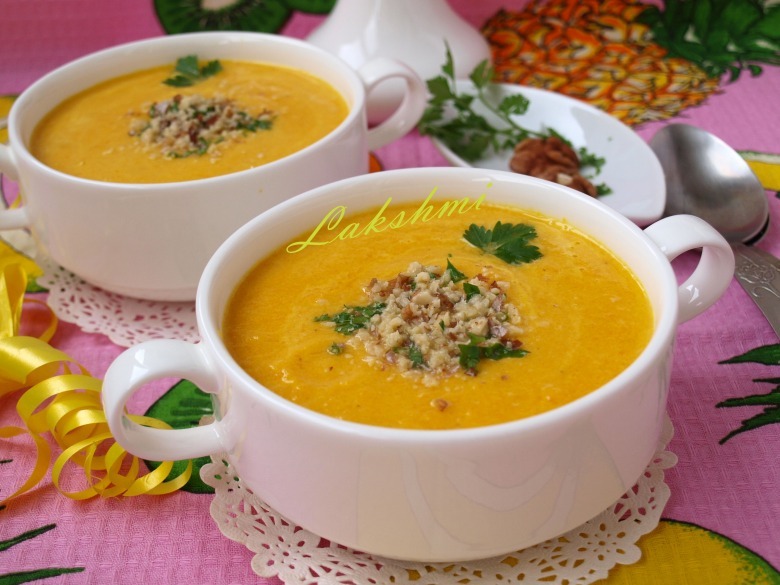 Have not cooked puree soups for long, although very fond of them. Daughter came home and I decided to please her with new soup. 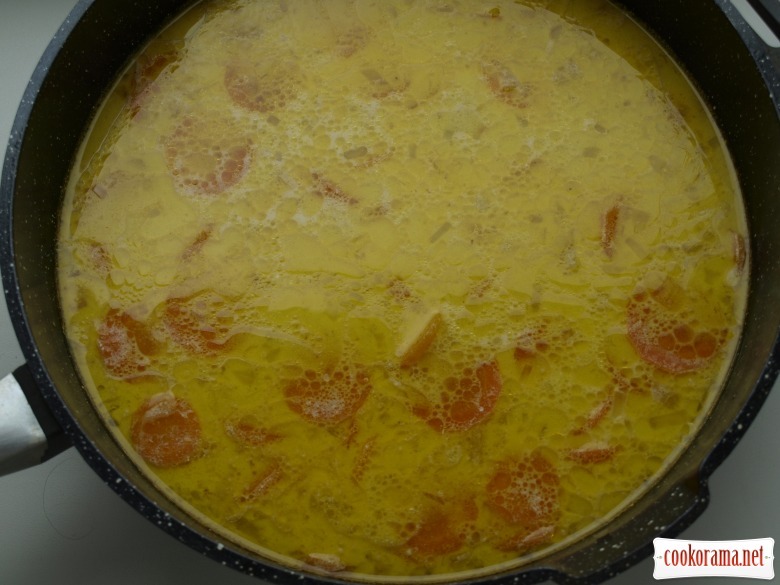 In my opinion, I chose interesting and unusual recipe and was very pleased. The soup turned sunny, beautiful and of course delicious. 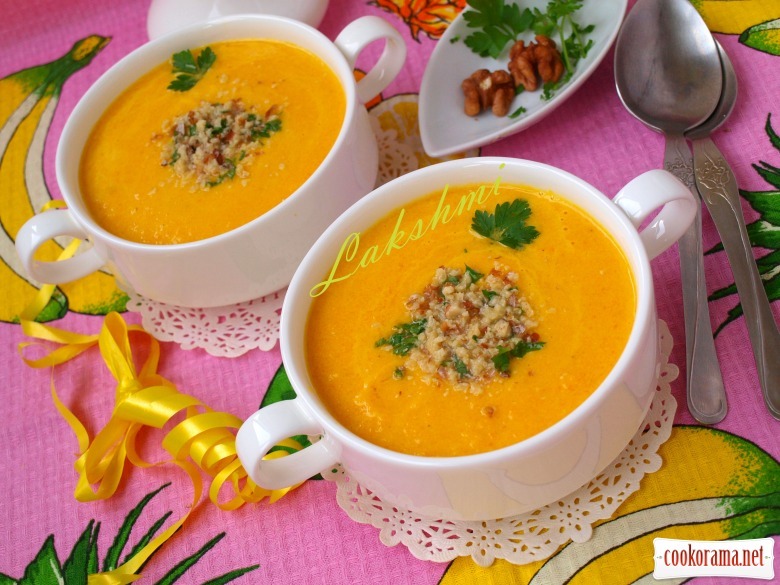 The combination of carrots with pineapple, with curry and cream — it's just a pleasure! 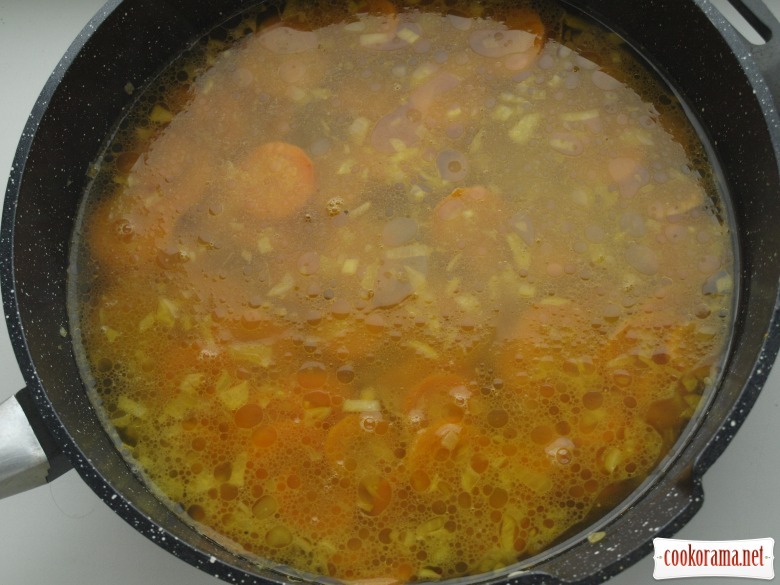 Main «violin» in this soup is carrot, which is shaded by pineapple and onion. 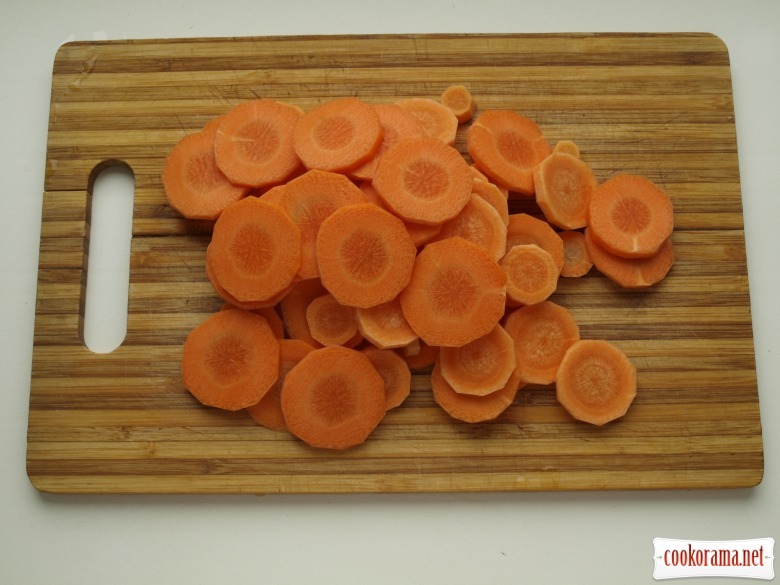 Melt butter in a frying pan, put the carrot,add finely chopped onion, black and red pepper, curry,coriander and salt. Simmer for 15 minutes, stir occasionally. 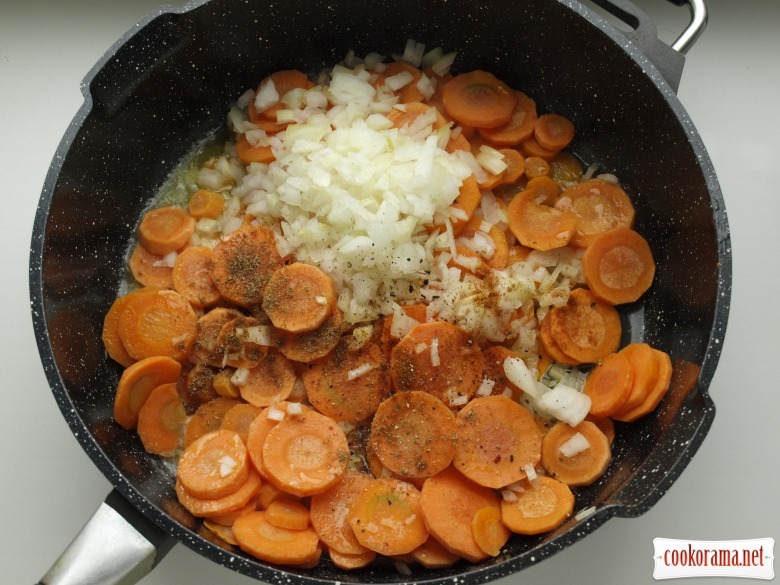 After this time, add vegetable broth to the carrots,bring to a boil,reduce heat and simmer under the closed lid for about 30 minutes until carrots becomes tender. Then add pineapple, lemon juice and cream to the soup. 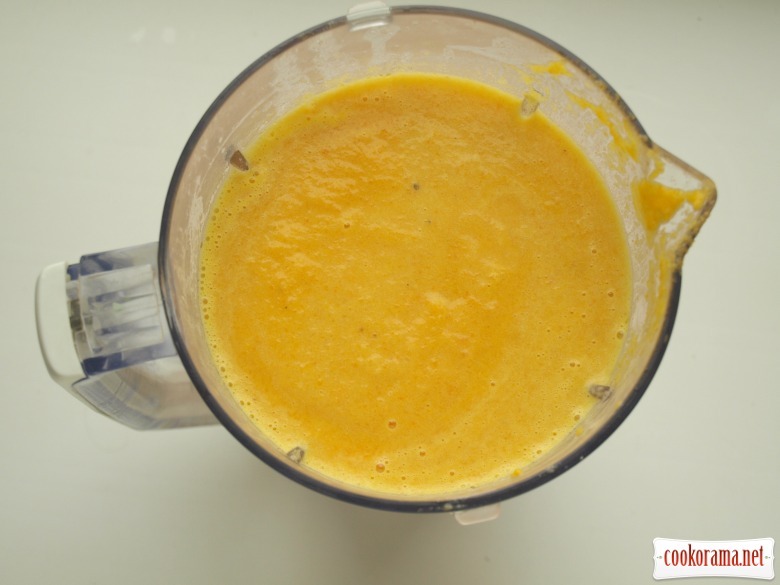 Transfuse soup in a blender and mash into puree. Tast it, add salt if required. Pour soup into bowls,sprinkle with nuts and chopped parsley. 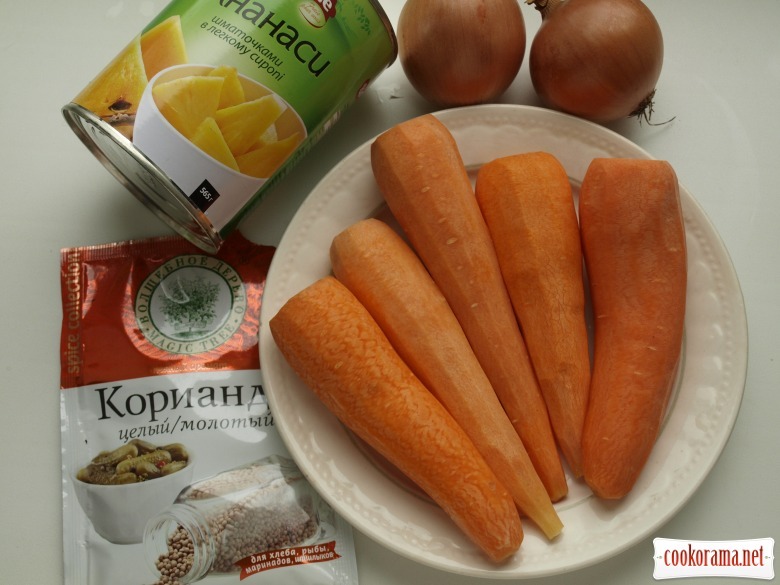 Top of recipe "Carrot and pineapple puree soup with curry"
Я варила и с апельсинами и даже с бананами, правда состав был другой . Спасибо Светик! С фотками намучилась, и так и так крутилась, на улице пасмурно, всё серое было.На яркой тональности снимала, вроде удовлетворительно получилось. суп з вишуканим смаком мабудь вийшов. До того ж фото дуже гарні. М-м-м я бы такой супчик съела бы с удовольствием! Здорово, сейчас самое время для таких супчиков! Ярки и согревающие!